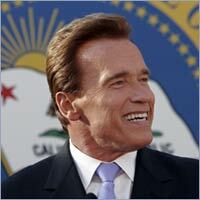 The Schwarzenegger Administration first requested a waiver of preemption from the EPA on Dec. 21, 2005. California is the only state under the Federal Clean Air Act, with the unique ability to set stricter-than-federal standards for vehicles, as long as it gets a waiver from the federal government. Once California receives a waiver from the federal government, then other states can choose to adopt California’s cleaner standards. Vermont Governor Jim Douglas said: “The Obama Administration’s decision to grant California a waiver for its standards restricting greenhouse gas emission from motor vehicles is a significant step in the right direction for Vermont and other states that adopted these standards. My commitment to reducing carbon emissions in Vermont is longstanding as Vermont has been fighting to join California in adopting these standards for some time now. “As the first state to adopt California’s motor vehicle greenhouse gas emission standards and to successfully defend these standards against legal challenges by the automobile industry in federal court, Vermont is a leader among the more than a dozen states that have adopted these tougher standards. “Auto emissions are one of the main contributors to greenhouse gas concentrations. This is particularly true in Vermont where the transportation sector accounts for approximately 45 percent of our carbon footprint. That is why reducing an emission from automobiles is so important here in Vermont.